I was their only customer at 11.30 am. The owner was there with his wife and their sons, it is not difficult to tell that he is a family-oriented man. I was telling him that I got to know about his shop on Facebook. I said, "It seems not too many know about your shop." He said, "Only people like you will get to know about." It is, in fact, a little unusual to find such a shop amidst of the others in Lucky Plaza. And, I asked, "Why did you choose to set up a shop in Lucky Plaza?" He said, "The rental here is the cheapest in the whole of Orchard Road." 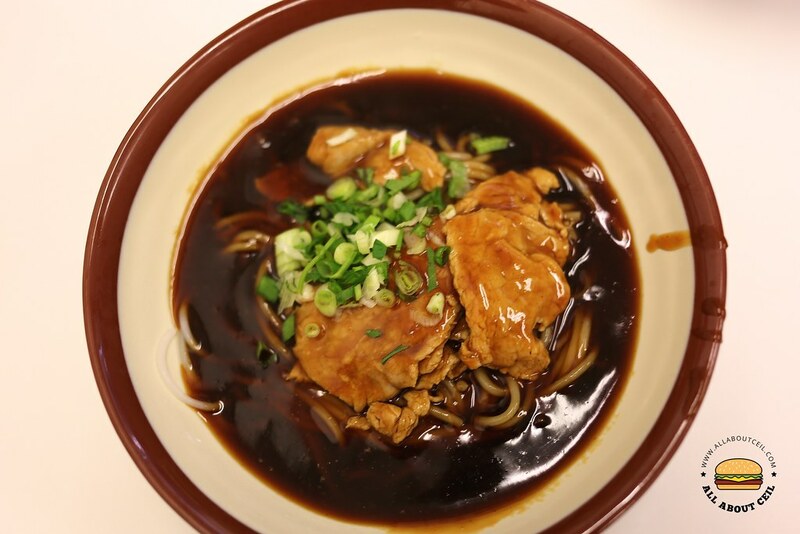 As it mentioned on their website that their recipe is created by a veteran chef Daniel Tan and it has been handed down from generation to generation since the 1970s, it is in the good hands of the third generation now. I decided to go with the Bull Market value meal. I did not know the actual name of this value meal at that time. I was telling the friendly owner that I want the set that is with sliced beef and beef balls. I was asked to take a seat. 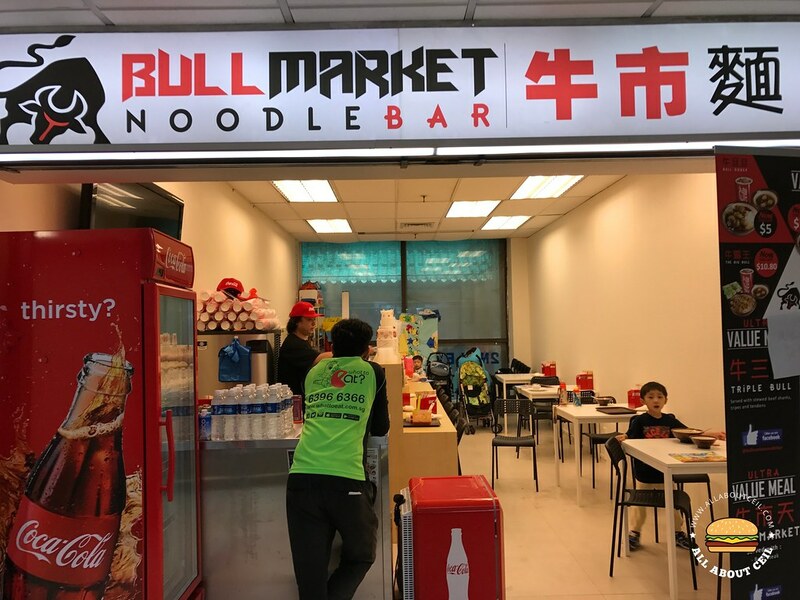 There are 3 different value meals for selection: Triple Bull ($8.50) with stewed beef shanks, beef tripes and beef tendons, Bull Market ($9.50) with Beef Steak, Bulletto ($8.50) with beef balls and The Big Bull ($16.00) with stewed beef, beef tripes, beef tendons, beef steak and beef brisket. There is a current promotion and these value meals are served at a reduced prices, Triple Bull at $6.50, Bull Market at $7.50, Bulletto at $6.50 and The Big Bull at $12.50. Each value meal is served along with a bowl of soup that consists of 3 pieces of beef balls with a choice of drink from the dispenser. 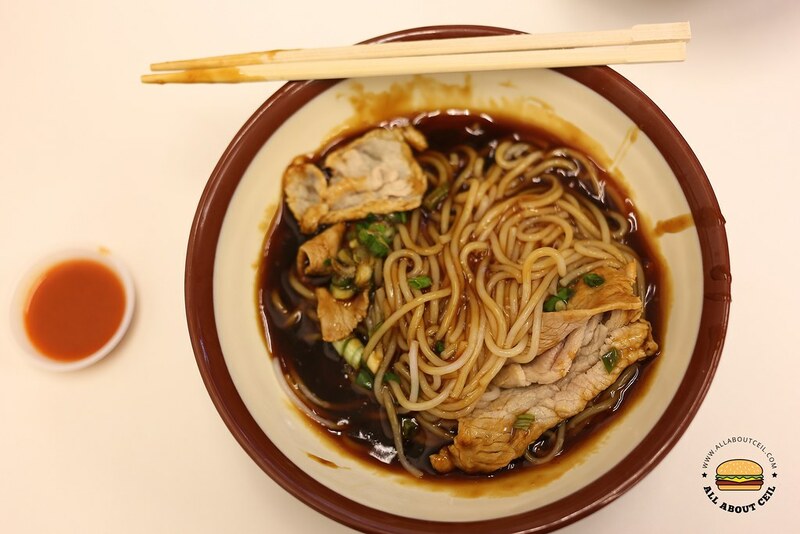 It consists of a good portion of thick bee hoon served in groovy braised sauce with a few slices of lightly blanched beef that were slightly overcooked thus its texture was a little too chewy for my liking. Those sliced beef are referred to as 'beef steak' in the description on their menu, though slightly too thin but it was quite big pieces. 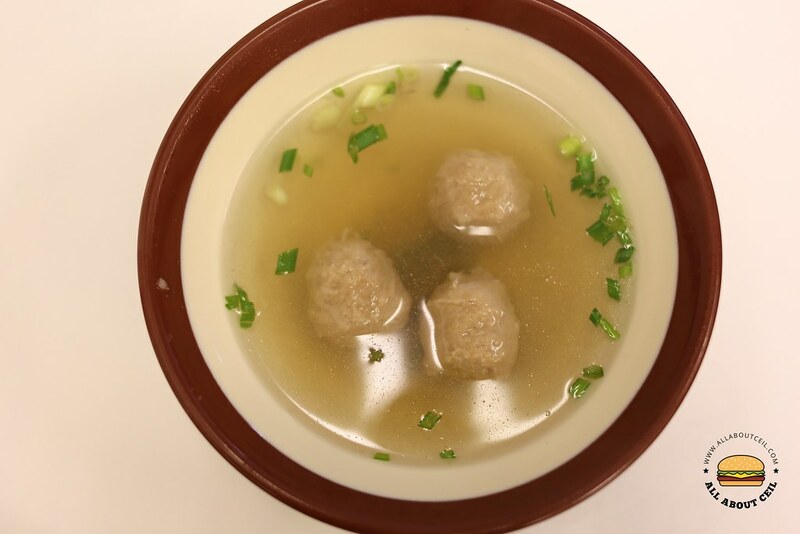 Those beef balls which are likely to be factory made did not taste too memorable but the soup has a distinct beefy flavour. When I was done eating, Enoch, 4, the oldest of his boys approached me and asked, "Have you finished?" I nodded. He then started to clear the bowls and brought them to the counter. Before I left, I asked, "Your beef balls are handmade or factory made?" And, he replied, "The volume is too big so it is not possible to handmade." Then I said, "Your price is comparable to the Cuppage Beef Noodle but they serve it with very small pieces of beef that I could hardly taste it, unlike those that are served in your beef noodle." Then, I said, "The meat was slightly tough though." He nodded then said, "Do come back more often." He was preparing the orders for delivery at that time.